Review of John Purser’s Is The Red Light On?, BBC Scotland, Glasgow 1987 “The book – Is the Red Light On . . is, at 60 or so pages, short. It is also, of its kind, rather compulsive reading. I devoured [it] in a single session. Purser is a wordsmith with a rich turn of phrase. He also tells a good tale. Additionally, he traces the history of the development of the orchestra (always a potentially deadly trawl through a tedium of statistics) through what he describes as “the real rather than official world.” . . . a warm and entertaining portrait of the human face of an orchestra.” Michael Tumelty, The Glasgow Herald, 15.6.1987. “Out of print and difficult to find, but Chapter 8 Strike is essential reading for anyone involved in classical music.” “Pliable” www.overgrownpath.com, posted 1.10.2010. “Purser’s welcome book will help to acquaint contemporary readers with the significant and fascinating musician who was Erik Chisholm.” John Robert Brown, In: Classical Music, July 2009. “Not for the first or last time, the Scottish artist looked to a wider world than his English contemporaries, though Chisholm was as fascinated by the musical traditions of his homeland as Delius or Vaughan Williams were by theirs. But his researches into the pìobaireachd propelled him, not into a Celtic cul-de-sac, but into the company of continental folk-modernists such as Bartók and Szymanowski, both of whose work he championed in Scotland. He sensed that Scotland’s Gaelic inheritance might have more in common with the music of India and the East than the European mainstream. Chisholm’s contribution has been crying out for this reassessment – that it’s as readable as this is a real bonus.” Anon, “Book Reviews in Brief” In: The Scotsman 18.7.2009. 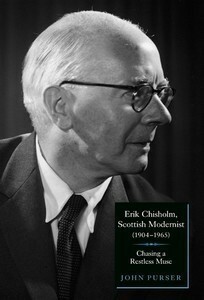 “Erik Chisholm’s place in the pantheon of composers is being re-assessed, to which John Purser’s fine biography entitled Erik Chisholm – Scottish Modernist is a significant contribution . . . Purser’s biography is a fascinating study, not only of the man himself, but also provides entertaining and easy-to-read analyses of his major works. This is an extremely important book, as it gives material witness to a significant twentieth-century composer, and John Purser’s prose style makes Chisholm’s vitality, imagination and energy jump off the page, making turning the page a real pleasure.” Michael Tuffin on “Book Choice” Fine Music Radio, Cape Town August 2nd 2010. “The book is one of the most readable of its type I’ve come across in some time.” The Delian. “This admirable biography . . . The author paints a beguilingly honest portrait of the indomitable Chisholm, buck teeth and all, but equally does not shirk at detailed analyses of his works along the way even at the risk of losing our patience in describing what, shamefully, in many cases has neither been performed much less published until now. That is, until we find ourselves carried away with the high tides of Purser’s poetry and passion in defense of his hero’s musical message to us.” Malcolm Troup, Piano Journal, Issue 90 2010, pp.43-44. Annemie Stimie, Journal of Musical Arts in Africa, 2070-626X, Volume 6, Issue 1, 01 December 2009, pp.84-86. “an outstanding recent book by John Purser – Erik Chisholm, Scottish Modernist 1904-1965; Chasing a restless muse (Boydell & Brewer; 2009). Robert Matthew-Walker, International Record Review, January 2011, p.18. 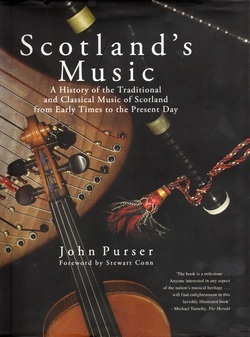 “Purser can be described as the Nestor of Scottish music historiography . . . . Purser’s excellently written work has enriched the musical history of the 20th-century, providing another important piece of the puzzle and laying the foundations for further investigations.” Jürgen Schaawächter, Review: “John Purser: Erik Chisholm, Scottish Modernist . . .” In: Die Musikforschung Vol.64 Pt.1, Jan-March 2011, p.85. “John Purser, an established expert on Scottish music, provides the first full-length account of Chisholm’s work as composer, conductor and concert-organiser in Scotland, South Africa, and, when opportunities could be found, around the world. . . . Sensibly, Purser splits a mass of activity across three chapters . . . This narrative account of Chisholm’s life is interspersed with commentaries on his musical works . . . The great strength of these commentaries is that they offer exposure to much-neglected musical works. The numerous score excerpts are clearly presented, and give a real flavor of Chisholm’s musical language . . . Purser is strong in his discussion of the role of Scottish traditional music . . . and the interaction of these sources with modernist techniques. The comparison of aspects of Indian music that influenced Chisholm with these earlier Scottish influences is also illuminating. . . . This book is greatly to be welcomed, both for the musical commentaries, which may inspire greater knowledge of this composer’s music, and for the first full-length account of Chisholm’s rich and varied musical life. Understanding of Chisholm’s work, and of the musical culture which he inhabited, is greatly enriched by the study. It becomes clear that Chisholm, as a composer and performer, made a distinctive contribution to the history of 20th-century music in Britain and the Commonwealth.” David Manning, CHOMBEC NEWS, Summer 2011, pp.15-16. “. . . generously tracked on the record and in the excellent notes.” Mayhew, J., “Mackenzie”, Review In: Classic CD May 1995, p68. “John Purser’s knowledgeable and rightly enthusiastic annotations are a pleasure to read. All told, a delightful release.” Andrew Achenbach, “Mackenzie”, Review In: Gramophone, May 1995. “John Purser writes the lengthy and helpful program notes.” Johnson, D., “Mackenzie”, Review In: Fanfare (USA), July/August 1995, p228. “Huelgan comentarios.” “Sparkling commentary”. Cester, X., “Mackenzie”, Review In: CD Compact, June 1995, p47. “sympathetic annotations by John Purser that might serve as a model for anyone hoping to interest people in unfamiliar yet worthwhile music.” Haller, “Mackenzie”, Review In: American Record Guide, July/August 1995, p148. “As ever, John Purser’s extensive annotations are a veritable storehouse of background information, infectious enthusiasm and perceptive observation.” Andrew Achenbach, “Mackenzie . . Tovey . .” In: Gramophone October 1998, p60. 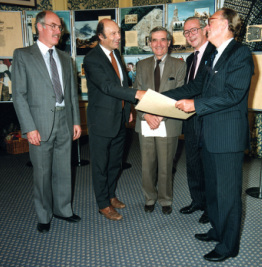 “There is a wide culture too in the informative – indeed penetrating – sleeve notes by John Purser” Colin Scott-Sutherland, “Scottish String Quartets: In: British Music Society News 91 September 2001, p189. Leo Scotiae irritatus Cantatas by John Clerk of Penicuik Hyperion CDA 67007. “Definitely one of the most important releases of Scottish music, and one immeasurably enriched by John Purser’s enlightening notes.” Andrew Clarke, In: The Scotsman 1.5.1998. “The notes are extensive and informative. This is a must for any lover of Elizabethan music.” Tom Moore, In: Fanfare (USA) December 1993. “An additional bonus to this disc is the liner note by John Purser . . which is full of very illuminating, and at times amusing information!” Jones, M., “Piano music of Erik Chisholm . .”, Review In: Tempo Vol.59, No.231, January 2005, p72. Äusserst informative der Begleiitext von John Purser” “Extremely informative notes by John Purser”. Jürgen Schaarwächter, Review: magazine,klassik.com, reviews 30.01.2009. “John Purser’s excellent notes . .” MacDonald, C., “Chisholm Piano Works, Volume 2”, Review In: International Record Review, 5, Issue 11, May 2005, p58. “The informative notes by John Purser provide colourful background” Anon, “Erik Chisholm”, Review In: British Music Society News 106, June 2005, p342. “The other, more extended one is on an unknown ground, which John Purser in his authoritative booklet notes hints may be by Chisholm himself.” Calum MacDonald, In: International Record Review, January 2008 p.55. “ein informatives Booklet tragen zum uberaus positiven Gesamtein druck bei.” An informative booklet contributes to overall positive impression.” Jürgen Schaarwächter, Review: magazine,klassik.com, reviews 13.02.2009. “das Booklet exzellent . .” “ the excellent booklet”. Jürgen Schaarwächter, Review: magazine,klassik.com, reviews 09.06.2009. “With a good recording and booklet notes, those who have been following this series will eagerly wish to acquaint themselves with this release. Start with those Nocturnes.” Jonathan Woolf, MusicWeb-International.com 12.1.2011. “ . . . und ein informatives Booklet in Englisch (in dem nur wenige Kleinigkeiten fehlen) vervollstandigen das Ganze.” “ . . .and an informative booklet in English (from which only a few small things are missing) complete the whole.” Jürgen Schaarwächter, Review: magazine,klassik.com, reviews 15.09.2010. “Tantalizingly, in the context of the Peter Pan Suite, the excellent booklet annotator John Purser makes mention of Chisholm’s later operas.” Colin Clarke, Fanfare, Issue 35:4 Mar/Apr 2012. “John Purser’s excellent booklet essay” Anne McAlister, McAlister Matheson Music, April 2012. “The lucid notes are by John Purser, author of an excellent study of Chisholm (Boydell). Martin Anderson, International Piano May/June 2012 p.81. “Finally, praise must also go to John Purser’s highly informative and eminently readable booklet-notes.” Stewart, M. “Wallace”, Review In: Gramophone 1.11.1996, p100. “John Purser’s characteristically enthusiastic and scholarly booklet-note.” Andrew Achenbach, “Wallace”, Review In: Gramophone February 1998. “The liner notes by John Purser are models of their kind, as is the design and layout of this handsome package.” Geordie McIntyre The Living Tradition, Issue 88. “Undoubtedly the tour de force of Burns night was Hot Entrails, a thoroughly blasphemous piece of broadcasting which took as its text the phrase from Dainty Davie, ‘splash gaed oot his gravy’, and nothing, if you understand me, to do with Sunday lunch. This phrase was taken into the body of a Burns-type kirk which allowed into its sanctified crannies the pagan indiscretions of ‘Mr. R. Burns’, as MacDiarmid was wont to call him. Bohemian scorn was poured on poor Clarinda and her swain Sylvander and their unrequited passions. Full marks for non-self-censorship to presenter John Purser who went on to challenge Scots to move now on independence, to give birth to the babe lest it turn to stone in the womb, and to the Mother of Parliaments to act, for once, as a real midwife.” Joy Hendry, The Scotsman Weekend, 30.1.1993, p.35.99. “Rideout’s rendition of a plaintive MacDougal gathering tune, accompanied by guest John Purser on the dord íseal, a Bronze Age bass horn, was nothing short of mesmerising . . .” Sue Wilson, The Scotsman, 14.8.2009, p.47. “More than any of the other works, this piece offers a vision of the uncanny, and the soundtrack echoing through the gallery – an ever-present blend of horns, flutes and non-lyrical song performed by composer John Purser within High Pasture Cave – reinforces this impression. The imaginative might hear distant wind, bubbling underground streams, movement in the darkness and the sighing earth, waiting.” David Pollock, Review of Gill Russell’s Uamh at Royal Scottish Academy January 2011, reviewed in Northings, 11.01.2011. “The sounds I was mishearing are in fact recordings made by Russell inside the stream passage in the cave of musicologist John Purser playing ancient instruments. You pick up the muffled sounds and echoes of the cave in the unfamiliar notes and sounds of bone flutes, harmonic singing and bronze horns. One of the most interesting aspects of Russell’s installation is the way her interventions in sound and light alter the viewer’s perception of time. The piece has a timelessness that stretches back (by evoking the ancient rites performed in the cave) and outwards (by simultaneously suggesting the otherworldly and cosmic). David Pollock, Review of Gill Russell’s Uamh at Royal Scottish Academy January 2011, reviewed in Aesthetica magazine, 11.01.2011. “ . . . and one must mention the fine singing of John Purser as Simone’s angel-brother.” The Jewish Echo, 17.2.1967. “ . . . and John Purser as a splendid and clear-voiced Angel.” Unidentified newspaper review From Our Special Correspondent Glasgow Feb.28. “Fiddle pibroch is a neglected strand of Scottish music, and a concept once apt to get mainstream pipers hot under the collar. In this stunning and welcome recording, produced by musicologist John Purser, the American fiddler and viola player Bonnie Rideout brings thought, passion and superb tone to these mainly 18th-century pieces, either composed for violin or adapted from bagpipe or clarsach originals, although there’s also Scott Skinner’s late 19th-century contribution to the genre, Dargai, and Rideout’s own haunting composition, The Selkie.” Jim Gilchrist, The Scotsman 20.06.2010. Scotland’s Fiddle Piobaireachd Vol.1 was nominated for a Grammy award in 2010 and won a Wammy in 2011. “The new album has been produced by musicologist and broadcaster John Purser, and includes a narrative CD in which he discusses the battle, along with commentary from Professor Alan Riach of Glasgow University and musical excerpts, very much along the lines of Purser’s acclaimed Scotland’s Music radio series.” Jim Gilchrist, The Scotsman, 26.1.2011 p.38. “Bonnie Rideout has assembled a stellar cast of friends old and new in this mighty venture, with the able assistance of musicologist John Purser. John is also the producer . . . This is a listening experience to be savoured. It is a most impressive and moving remembrance, to quote John Purser, ‘of the age old battle between war and peace’. This is a landmark recording.” Geordie McIntyre The Living Tradition, Issue 88.